Description:Used in fire or burglary alarm systemsElectric Bell with LED StrobeMaterial: ABS Housing.. Description:Used in fire or burglary alarm systemsMaterial: ABS housingFlash rate: 65flashes/minuteS.. Description:Motor drive & Striker Mechanism fire alarm bellUsed in fire or burglary alarm system.. 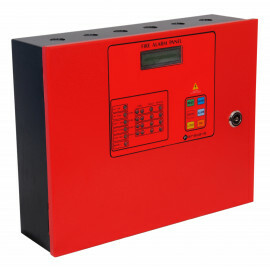 Description:Motor drive & Striker Mechanism fire alarm bellUsed in Fire or Burglar Alarm Systems.. Specifications:Standard Voltage	120 / 220VAC + 10% -15%, 60 / 50 Hz. 60WS..